As you might expect, writing technology news and managing a team of writers means that keeping up with pretty much anything that happens is an essential part of my job. What this means is that I need an efficient way to stay in touch with anything that happens across a day and a simple way to see a roundup of everything that happened overnight while I was asleep, which is why I was more than happy to try out Corgi for Feedly, which is a slightly misleading name in itself. 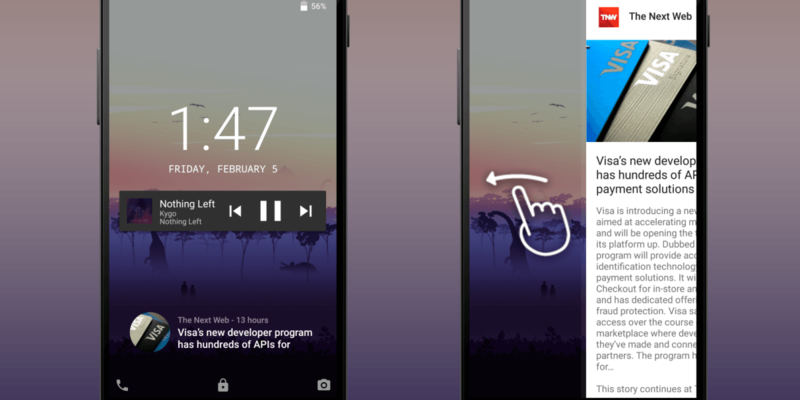 In a nutshell, it’s one of many, many lock screen apps available for Android devices but rather than redesign what your notifications look like, deliver playlists, access different services or add power features, it focuses on simplicity and keeping you informed about the news. And not just technology news, obviously. Rather than drawing on its own curation tools, it plugs straight into Feedly to let you customize the news you see by category. It also lets you import all your Feedly lists. The only exception to this sourcing of news is Corgi’s own hand-picked suggestions that pop up after you’ve installed the app but not logged into Feedly, otherwise new users would be greeted with an essentially blank screen. These are varied according to country, too. Being able to scan through your entire Feedly list straight from your lock screen is pretty damn handy to someone who checks an overview of the news several times a day. Alternatively, you can choose to only see updates on your lock screen from specific Feedly subscriptions if your list is a bit overwhelming. It also supports displaying items from your Instagram feed from all (or select) people you follow. To access your stream of updates, you just swipe to the left. Mini news updates are also posted below the standard Android notification reminders on the lock screen too, and you can scroll through these sideways for an overview of the headlines. The app’s founder Stan Dimitriev ran through lots of alternatives with the team, but was ultimately inspired by a cute picture of a dog they found online. “We were trying to figure out our company name for quite a while. Going through different variations using the keywords like ‘Lock’, ‘Feed’, ‘News’ etc. but we felt like they were either too complicated. Or just didn’t sound cool. Or it already existed. Yes, it’s only going to really appeal to news junkies, perhaps, but getting all the usual Android notification reminders alongside these updates is something that I’ve found genuinely useful and you might too.